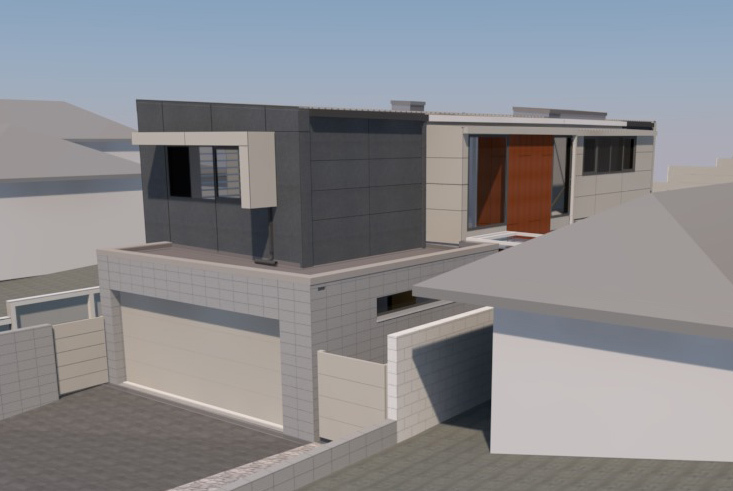 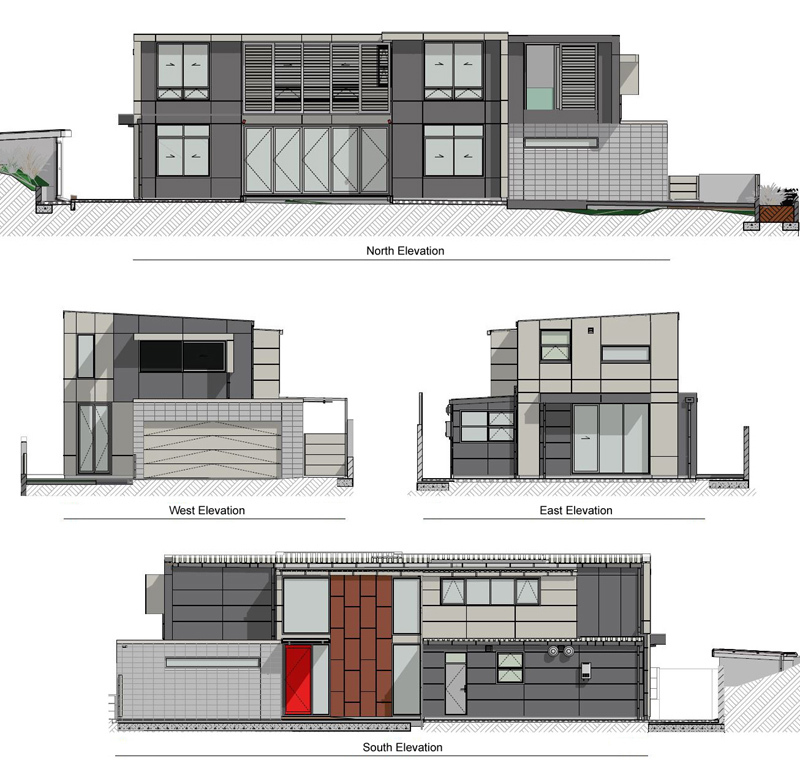 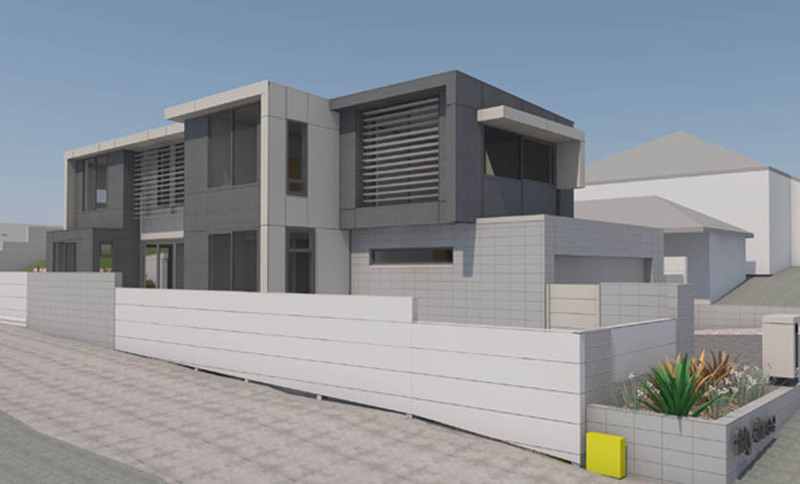 An existing single storey house was removed from a site in an established suburban area to build a new two storey timber framed house with a floor area of 258m2. 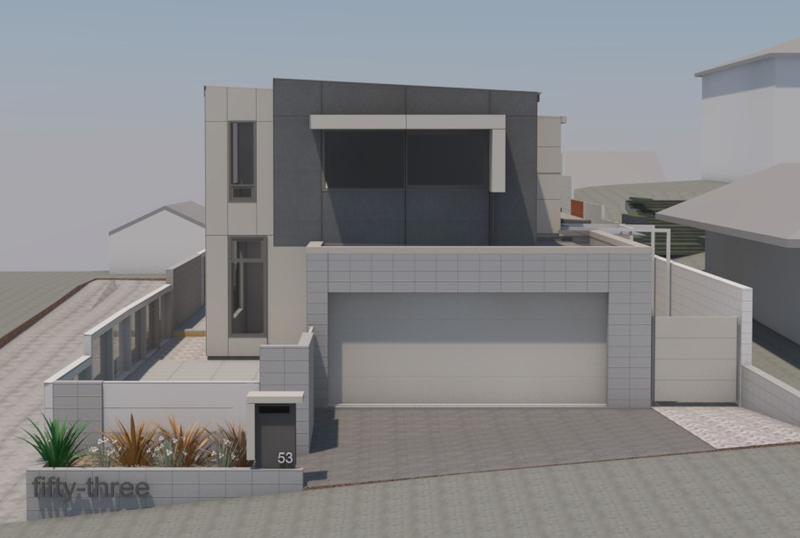 The ground level consists of dining, kitchen, living areas, bathroom, laundry, bedroom and double garage. 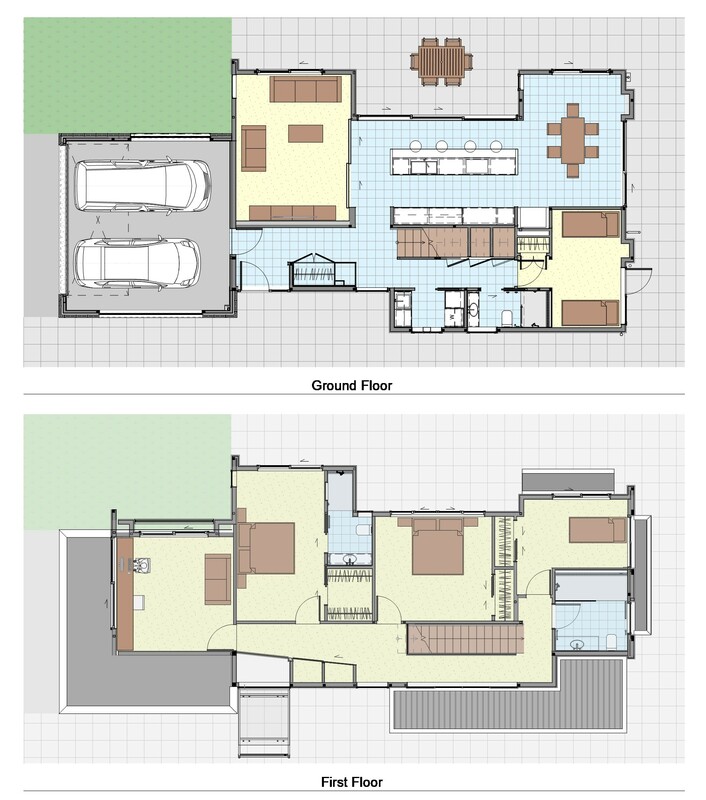 The first floor has three bedrooms, one with a walk in wardrobe and ensuite and a separate bathroom and office.